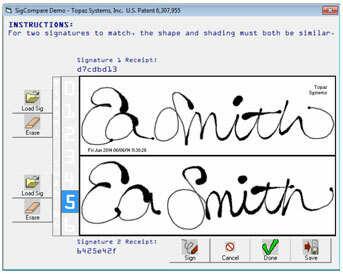 SignatureGem® LCD 4x5 includes all the high-quality electronic signature capture features of Topaz signature pads with the added feature of a bright backlit LCD interactive display, allowing users to see "electronic ink" under the pen tip as they sign as well as navigate and display text and graphics. 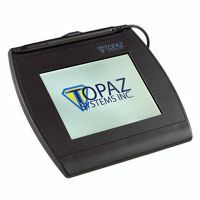 SignatureGem® Backlit LCD 4x5 includes all the high-quality features of our electronic signature pad with the added feature of a bright backlit LCD interactive display, allowing users to see "electronic ink" under the pen tip as they sign as well as navigate and display text and graphics. 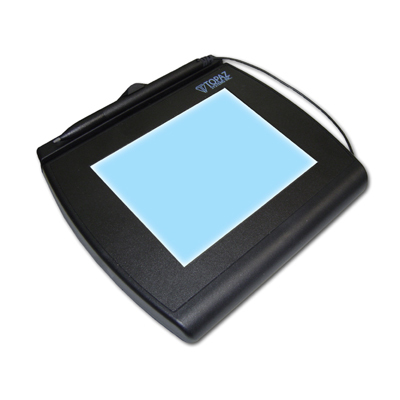 The wide signing area and rugged tempered glass signing surface make this a versatile pad for the most demanding applications. 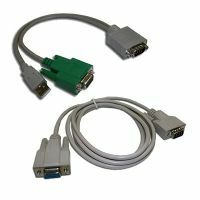 The Backlit Colour LCD model has a 4" x 5" transflective LCD screen with a bright backlight for improved viewing in any ambient lighting conditions.